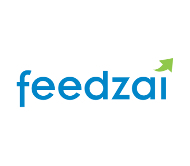 Feedzai is a Portuguese company with a breakthrough technology for Complex Event Processing (CEP). Feedzai's engine includes an innovative, high performance technology, capable of addressing the wide range of needs not met by the more conventional approaches available today. One of the most successful products is Feedzai Fraud Prevention, which delivers the industry best sub-second fraud blocking application with the lowest percentage of false positives. Feedzai is an active portfolio company of AVP III and AVP Inovação e Internacionalização.